Can this lower be used for a new pistol build? Is it legal to attach Maxim CQB brace and 7.5 inch upper to it? Is this lower registered as rifle lower receiver or it could also be used for building the pistol as well? I would use the Maxim cqb buffer tube, if it doesn't come with what you already have in your product kit. That would make that pistol brace work with this, standard lower. Some places don't make you register, as in report serial numbers to state, local, or other government organization for record storage. If you list this lower as 'other' on your gun purchase paperwork, you are ok. I would recommend removing the buttstock (possibly at your FFL), and inserting an SBA4 SB Tactical pistol brace in its place, when they come out. The SBA3 or KAK version 2 also insert onto a milspec carbine buffer tube/receiver extension. They are sold with 6 position tubes, and utilize 5 of those positions. Good luck! If your FFL will not transfer in that method, get another FFL, and sell them the buttstock, just in case to be extra nice to rules. If you have extra parts at home, however, it doesn't really matter, because you could probably build a whole new rifle, anyways. Just find the right FFL, which is willing to put 'other', and that is legal, as well. If you register this lower as 'other' on your gun purchase paperwork, you are ok. I would recommend removing the buttstock (possibly at your FFL), and inserting an SBA4 SB Tactical pistol brace in its place, when they come out. The SBA3 or KAK version 2 also insert onto a milspec carbine buffer tube/receiver extension. They are sold with 6 position tubes, and utilize 5 of those positions. Good luck! If your FFL will not transfer in that method, get another FFL, and sell them the buttstock, just in case to be extra nice to rules. If you have extra parts at home, however, it doesn't really matter, because you could probably build a whole new rifle, anyways. Just find the right FFL, which is willing to put 'other', and that is legal, as well. It is also nice to have multi for the caliber, to use whatever you want. Some places don't make you register. If you list this lower as 'other' on your gun purchase paperwork, you are ok. I would recommend removing the buttstock (possibly at your FFL), and inserting an SBA4 SB Tactical pistol brace in its place, when they come out. The SBA3 or KAK version 2 also insert onto a milspec carbine buffer tube/receiver extension. They are sold with 6 position tubes, and utilize 5 of those positions. Good luck! If your FFL will not transfer in that method, get another FFL, and sell them the buttstock, just in case to be extra nice to rules. If you have extra parts at home, however, it doesn't really matter, because you could probably build a whole new rifle, anyways. Just find the right FFL, which is willing to put 'other', and that is legal, as well. Lowers aren't registered. Some states require registration, but not the feds. If instead you were asking how it gets processed through the FBI NICS system, it is processed as a lower, not a pistol or a rifle. However, since a lower can be made into a pistol, the lower can't be sold to someone under 21. This applies were it is a complete lower or just the stripped lower. AR15 I can buy from you? BEST ANSWER: Not the arrow but the Indian. As someone else said, accuracy depends most on the barrel, and for that you would want a 20" barrel with a rifle length gas system of the highest quality. Second comes the trigger, usually a 2-stage design. I also suggest a Wylde chamber. The accuracy is most dependent on the upper receiver. 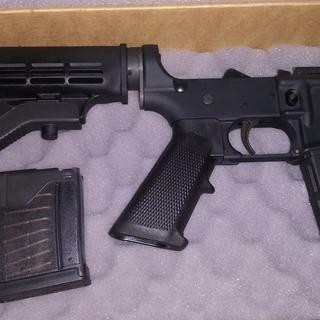 Is this a complete upper and will the PSA AR-15 Complete Classic Lower work with this upper? BEST ANSWER: Yes the upper is complete with bolt carrier group and charging handle and yes it is compatable with that lower. There are many questions asking will this upper fit "this or that lower receiver?" My question is what lower would this upper NOT fit? Or maybe I should ask "for what reason would this upper receiver NOT fit on the lower?" Are there things I should my receiver for? Like the holes on the upper where it mounts to the lower are larger or smaller so there would movement? I thought that ALL Ar 15 parts were interchangeable. The only thing I have heard is with the buffer tube. Mil-Spec and Commercial-Spec. This is the only difference between the lowers I know about. Should work fine, but you will need a rear sight of some kind and a magazine. Is the M4 Stock Mil-Spec or Commercial? Can I add a Florida resident drive to SC an buy a lower ar15 reciever? BEST ANSWER: Florida has a waiting period. You need to find a local FFL to do the transfer for you. 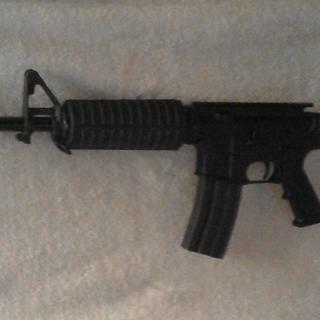 Is This compatible with the M4 carbine 556nato #516444536 ? BEST ANSWER: Yes it will work and yes the only other thing you need to hit the range is a mag. The lower will have to be shipped to your ffl. Yes it will. Upper can be used with any brand lower as long as it is mil spec. Yes they will work and all you need is mags to finish set up. Yes it will be a perfect match..
What caliber uppers will work with this lower? Will this lower work with a 7.62 upper? BEST ANSWER: 7.62x39? Yes I am using one of these just fine with my x39 upper. No, you need an AR10 lower for an 7.62 upper. You have to get a AM10 lower for your 7.62 upper. The one you listed will not work. Yes! Mine works very well. I can use this with 9mm or 223, 5.56? What about 6.5 creedmoor? BEST ANSWER: You can use with 223 or 5.56. Will not work for 9mm or 6.5 creedmoor. I can only give you my assumptions. I'm certainly not an expert, but I believe the 6.5 creedmoor would be more appropriate in the AR-10 platform, because it's parent case is the .308/7.62x51. The lower is marked "MULTI" caliber. As is, it will work only for 556 & 223. No 9mm or Creedmore. But, with a type II 6.5 Grendel barell and bolt, that would work. No, not with the 9mm. 9mm requires another upper type because of the mag well. What poundage is this trigger set at? Can it be adjusted? What trigger would you recommend for a replacement? Do the holding pins that hold the upper come with it??? Yes, the pins come with the lower reciever. The pins are on the upper!!! yes, it comes with both take down pins. Yes they do! Great product! Is the lower shell aluminum or polymer ? its aluminum 7075-t6 anodized coating and mil spec. no proof but I'm sure they are made by aero precision . It is metal. Very nice for the price. Will this work with my M4 upper to finish my build? This will certainly work with any 556 upper. I’ve had all of my lowers come from Palmetto - great function, fit, and finish. Most likely yes. Especially if both upper and lower came from Palmetto. I have have used uppers from other sellers on Palmetto lowers and they work too. Yes it will work as long as your upper is built to mil spec specifications. 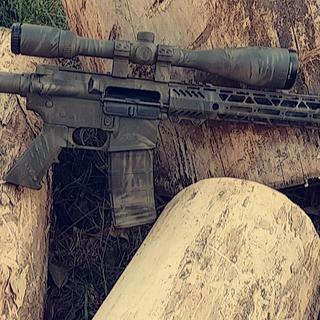 What calibers can be used with this lower build? Everything shy of 308 Winchester will work. 2.23/5.56, 7.62X39, 6.5 Grendel etc. 308, 6.5 Creedmoor etc requires an AR10 lower. Hope this helps. Would this work with a .308 upper? BEST ANSWER: No, since the cartridge of .308 is longer than a .223 the magazine for the 308 must be longer to accommodate it. The Magwell on this ar-15 lower would be too small to work with the 308 lower. You'd need a dedicated lower reciever. No. Small frame =\= large frame. You need a large frame lower for .308 and similar size calibers. What upper can I use? BEST ANSWER: Hello Ralph, I have used two different uppers for this specific lower. One is the PTAC complete barreled upper 5.56 from Palmetto and the other was a PSA complete barreled upper also 5.56. As far as I know, you can also use a 300 AAC blackout complete barreled upper on these standard lowers. I hope this information helps. Any Mil-Spec upper should work but I highly recommend using a Palmetto Armory upper. It makes a very clean, matching system. What calibers will this lower fire? BEST ANSWER: This lower will work on a multitude of uppers there are so many calibers for this lower now! But I will give you a few as follows, of course the 556 or 223, the 223 wild,300 blackout,6.5 Grindel, 6.8, then you have the big bore uppers, the 450 bush master.,458 socom, and the 50 caliber baewolfe . I'm sure I'm missing some but it seems every month they come up with a different caliber becuse the AR15 is the most popular weapon system in the USA! .223 5.56, .223 Wylde, .204 to name a few. Will this lower work with all uppers? BEST ANSWER: It will work on all AR15 upper rifle calibers, not AR10. If your looking to use it for pistol calibers, 9mm and such research it, some set ups it will work, some require a different lower. But for .223/5.56 762×39 300 aac black out .22 458 socom .223 wylde .224 val it should be fine. It will work with 5.56 and 223 but it’s a rifle lower so there are limitations on how short the barrel can be. Check your local laws. This is a Mil-Spec 5.56 lower, it will work with any 223 or 5.56 upper. It will fit with all AR-15 uppers, NOT on AR-10 uppers. 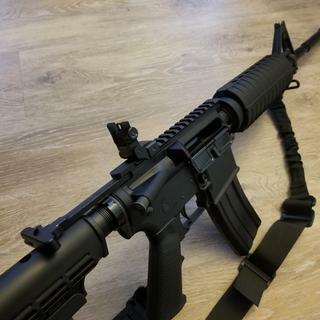 It is metal, i bought this for my upper and it's been great, no problems here. Metal. Great buy on my part. It is metal. So far so good. Can I put on a .450 Bushmaster Upper on this ? I would say yes, it will fit and work. One is if the upper is made to AR-15 mil spec, and obviously you have the proper magazine that fits the AR-15 well. Yes you can. Any of the multi calibers will work fine. 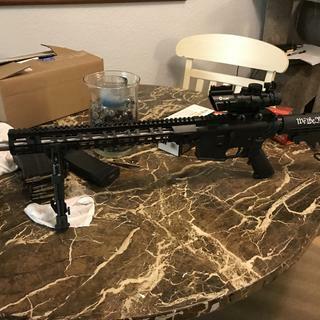 Will this lower work with a 223 7.5 inch upper?? An ar15 pistol?? BEST ANSWER: Yes and no, yes it would work fine, however, no, unless you're building a SBR (short barreled rifle) and have the proper paperwork for it. 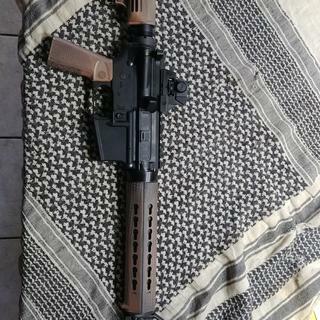 If you're not making an SBR I would order a AR15 pistol lower or pistol lower kit. Hope this helps. Yes, it will work. But if you get caught withit you will go to jail and a nice fine with it. Lower would have to be stamped SBR. What's best 556/223 upper to pare this lower with ? BEST ANSWER: Whatever style you like. That's what's nice about it. Build to your taste. I have this lower with a 224 valkyrie and a 300 blackout upper. 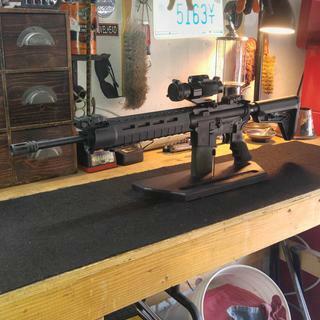 My first build in 223 has this lower with the classic 16 inch upper. All tight fit with no problems. I would say go with the 5.56. Don't limit yourself with getting the 223 upper. I have not had any problems with the lower. Depends, on what you like anything 16 inch is good. You can go old school or modern with mlok or keymod. THERE IS NO DIFFERENCE. I tend to lean towards the 223 upper because I am in the US. Will This Upper fit my PSA AR-15 Complete Classic Lower - No Magazine - 7244 ? BEST ANSWER: The upper will fit that lower just fine. Mine went together with zero issues. Hope this helps. Yes it will. Just pin it on and make sure it has the bolt carrier group and charging handle. 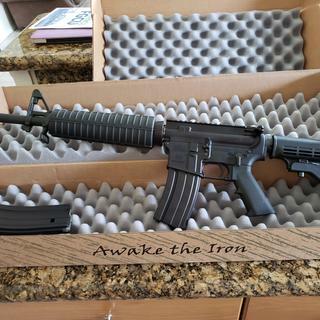 Why is it 21 or older to buy the rifle, when in almost every state it's 18? BEST ANSWER: I would assume that it is 21 y/o or older to purchase only the lower because the lower is not serialized as a complete rifle and could be turned into an AR pistol. What state do you live in????? Rhode Island... there's four states that require you to be 21 to purchase a long gun. Can this complete lower be used with .308 uppers, since it says "multi calibers"? Will this accept a 7.62 X 39 upper ? BEST ANSWER: Uppers are the same,except for the bigger Cal.762x39 is the barrel and BCG,,, bolt carrier group,bolts fits the ar15 upper framework. Got 2. Have one upper that works and another that doesn't. Can't figure out the difference between them. it might be the trigger mechanism. Could a 19 year old buy this isnt it a rifle lower? BEST ANSWER: That depends on your state laws. If you can purchase a rifle from a gun store then yes you should be able to buy this. Depends on what state you live in. Check with your local FFL where you you are going to have the lower shipped to. No it is listed as multi caliber so technically it could be used to build a pistol. What caliber is this lower chambered in? I'm assuming .223/556 Nato ?? Correct: .223 and 556 Nato. Can also be used with a 300 ACC Blackout upper. I bought two of these for the 2 PSA upper assemblies I purchased. They fit the uppers perfectly. I have not taken them to the reange yet, but they look great. Great quality, durable, and comfortable. The purchasing process was seamless and the folks at Palmetto State were extremely helpful. I have yet to fire my PSA AR-15 due to a busy schedule, however, I am very impressed by the overall fit and finish of this lower. The stock is comfortable and adjusts easily. The trigger action feels great. I can't wait to return home to send a few rounds down range. I was very surprised on how nicely it fit together with my preassembled complete PSA upper. 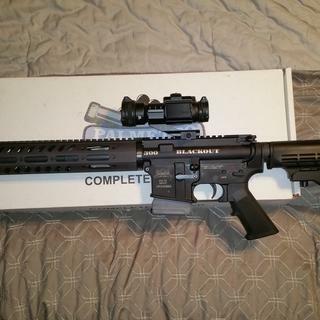 Excellent lower, fits very good! Great Deal, very nice lower! PSA AR-15 Classic lower M4. Very good quality lower for the price, Excellent fitment with a Classic Upper 16 inches. Absolutely worth the money. 100% recommend. Great Lower as always from PSA! Lower snapped right in place with my AR 300 Blkout SBR upper. (Aero M4E1). Just lubed up ttake dwn pins & was good to go!! Great budget lower!! Works well! Fit well with my 16” Mid length PSA upper. A great budget lower to start your love for our 2nd Amendment. Replaced the stick and handguard. Lower is nice quality. 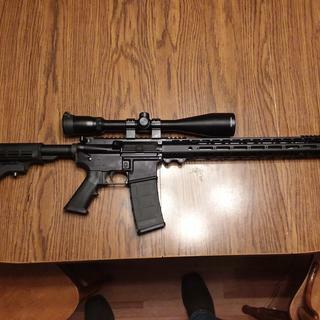 Mid-length pencil barrel, Magpul SL Stock & handguard, MBUS sights, and a Vortex Strikefire scope. My lower performed flawlessly without issue. I have used this lower on a couple of my builds with great success and I plan to build a few more. Great product. This is my 5th or 6th PSA complete classic lower. Paired with a Colt 6920 upper, it works well. No complaints. Just got it today looks good cant wait to put it to work. Can't beat these complete lowers. They are inexpensive, and they work. It is an easy way to get a first AR, or add another AR to the safe. Buy the lower, then wait for the upper you want to be on sale. Often this is cheaper than the whole rifle together, and more combinations to choose from. I purchased this lower almost exactly 4 years ago. I've put 1360 rounds through the rifle (with PSA upper) and have had no problems with it. This is an excellent lower and you can't beat the price. Works like a champ. And a great price. Got this on sale and with free shipping. Also got the 16" carbine length upper without BCG, carry handle or charging handle. Fit together with no gap. Pins are tight but figure that will be better with time. First 100 rounds with no problems, would recommend! Very good quality at a great price. Fast shipping. This is my 4th PSA lower. Will continue to buy from PSA. Always fast shipping. Good lower. Nice tight fit with upper. For the price and quality you can’t beat psa. Bought a few over the years and Palmetto was always Topnotch! Can't beat the value of these lowers for projects that have limited funding. 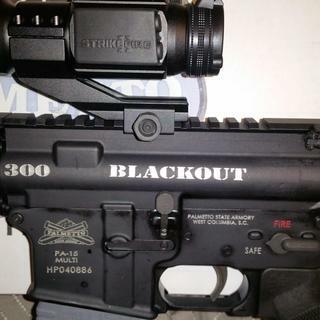 Excellent value for $129.00, I used it for a 300 Blackout build for my wife and 9 year old daughter to hunt with. Merry Christmas girls ! Great product overall. Quality well above price. Quality, price and fast delivery. Great quality and even better price. PSA has the lowest prices without sacrificing quality. 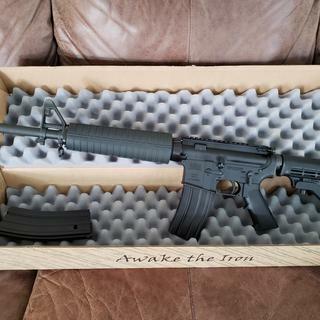 Ordered this lower along with a 16” upper. Totally worth it. Have a badass looking ar as my first gun. Glad I came to PSA and saved a ton of money! Excellent for the money. Definatly will buy more.. I enjoy the emails and daily sales. Keep them coming in on a daily basis. I used this lower to build a .458 SOCOM rifle, utilizing an Aero Precision upper, and a BCG from Brownell's. Everything worked flawlessly. Thanks PSA for a great price on a great product. Quick to ship. Great product. I ordered with the expectation that it was a quality product. I got what I ordered! Thank you! This complete lower is very reasonably priced, high quality, and shipped to my FFL holder quickly. I think that this lower is a great price for a lower , there is now way that i could have built this lower for the price . Can't beat value for the dollar. Palmetto State Armory is the best. A perfectly functioning lower complete with fire control group and telescoping stock is exactly what I received. Fantastic value. Thanks PSA! Fast shipping, great value and quality. Perfect fit with blemished upper.